100 YEARS OF FAITHFUL MINISTRY! Our Church organized in 1917, following a series of "tent meetings" which saw many people choosing to follow Christ. This new group began meeting in the home of one of the members, while they constructed our first building which was located on East Davis Street. In 1950, construction began on our present location. God has been faithful to FW through these past years and has used FW through these years to impact our community in the sharing of the Gospel, as well as helping meet the physical needs of the community in direct projects and also supporting local organizations. We have a worldwide impact as well, having sent out from our church missionaries, and supporting other missionaries and organizations that serve and minister around the world. And we're not finished ! We believe our greatest days still lie ahead of us, and we stand fully committed to continuing to faithfully follow God, and faithfully serving Him as His hands, feet and mouthpeices here and abroad. We are a member of The Wesleyan Church denomination, and we believe this affiliation is extremely important for 3 reasons: Maintain Biblical Purity , Accountability, and Mission Impact. You can discover more about us and our doctrinal beliefs on our resource page. We understand that every person is at a different place in their spiritual journey. Some are just "seeker's" trying to get more information about God and Jesus, while other's have decided to follow Christ and are at various stages in their journey. We also understand we live in a diverse society: racially, ethnically, economically, and demographically. to both learn more about God and to serve Him. And we will provide a genuine worship experience where God- not us, is the main attraction. This is our goal: for each of us to become passionate, fully devoted followers of Christ. Pastor Dennis has been our Senior Pastor since August , 2011. He brings 34 years of pastoral ministry to us, but more importantly, 38 years experience following and loving Christ. He has planted two churches, Jacksonville,NC and Virginia Beach,VA, and served as pastor of both Wesleyan churches in his hometown of Siler City. He holds Bachelor, Master and Doctorate degree's , all in theology, and is an Ordained Minister in The Wesleyan Church. He is married to Jill, and has two son's and two daughter in laws and three gandcchildren. Pastor Dennis serves as a Chaplain to the Burlington Police Dept., a volunteer fireman in the Haw River Fire Dept. 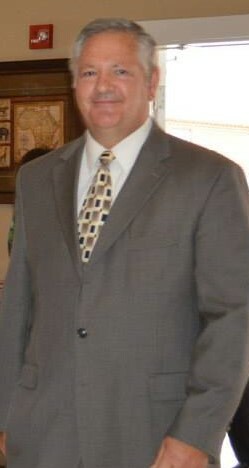 ; as a Chaplain on the Billy Graham/Samaritans Purse Rapid Response Team; is a member of the Burlington Kiwanis Club where he heads up the "Terrific Kids" program for our elementary schools, is a founding member of the Alamance Evangelical Ministerial Alliance, and serves as Vice President and on Board of Directors for Vision India. Brian was born and raised in New York City but moved to Greensboro several years ago. He was raised in a Christian home and in the church and began singing solo's when he was 10 years old. He has been involved in music ministry ever since. He enjoys all types of Christian music and brings that variety into our worship as well as well as his wonderfully gifted solo voice.